Trade mark registration – what does it give me? Trade mark registration seems to be on lots of people’s “to do” list. For most businesses a trade mark is a fair chunk of investment, especially in the early stages. Lots of people aren’t really clear what a trade mark registration gives them. And just as importantly, what it doesn’t. As a result, it often gets overlooked on that “to do” list. So here’s a quick run down of some general pointers* about what kind of benefits and security you get from having a trade mark registration. First of all, you get the presumed right to use the trade mark. In the country it’s registered in. On the goods or services it’s registered for. Then you also have the right to stop someone else from using the same, or similar trade mark. In the country you have it registered in. If they are using it on the same or similar goods or services to the ones you have it registered for. And there is a likelihood that customers will be confused. There’s the increased ability to ask for investment because you can legitimately say that you own the brand. Think of Dragon’s Den – the first question they ask is “do you own it”. You can license it to other people to use. Think of franchises, spin-off product ranges, collaborations. The ability to use it to raise finance for your business, e.g. by mortgaging it. Also the right to sell the trade mark as part of your business. You can use the ® symbol which tells other people that your trade mark is registered and warns them about your existence. A great deterrent. It can be used to object to similar domain name registrations that contain your trade mark, or something similar. You have the ability to use it to stop counterfeiters. Also, you can use it to register with customs authorities to help prevent the importation of counterfeit goods. Global protection. Registered trade mark rights are restricted just to the countries where you have a registration. If it’s not registered in that country, you’re not protected there. Every type of product or service is protected. Unless you’ve got a registration for them all. There is no “catch all” term like “merchandise”, you have to be specific. Other people copying your business idea, or simply running the same type of business (there are lots of clothes shops in the world for example). So long as they are using a different name, brand etc your trade mark registration won’t be able to stop them. Even if you are the first to the market. You won’t be able to stop people using descriptive words. For example, “Bargain Books” can still be used by everyone else to describe their bargain books, even if you have, say, a logo version of that registered. If you have any questions, or would like help protecting your trade mark, either in the UK or overseas, please get in touch. *Not all countries have the same laws, these are general pointers from a UK and EU perspective. If you have a query about a specific country please get in touch. This entry was posted in Help & Advice and tagged brand, brand collaboration, business, business advice, licensing, Trade mark, trade marks on 30th January 2017 by Stanners. 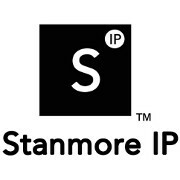 © Copyright Stanmore IP 2015-2019. All Rights Reserved.